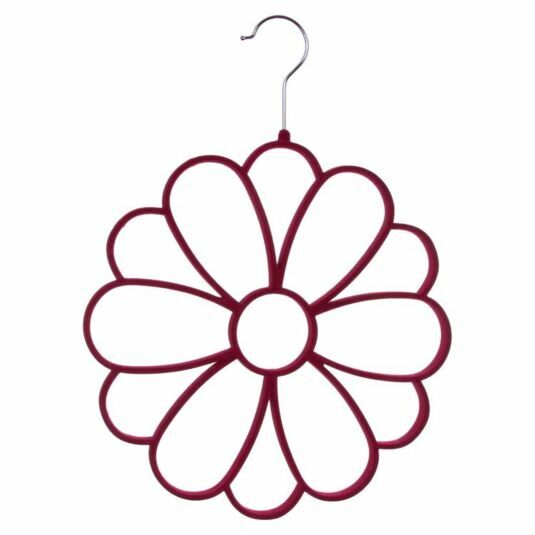 Store your scarves in style with this Flower Scarf Holder from Equilibrium. This handy holder shaped like a flower and has been flocked in bright pink. It also has fifteen holes, each with space for one or more scarves. It is an ideal storage solution keeping scarves organised and the flocked material means they wont be prone to snagging or slipping out of place! 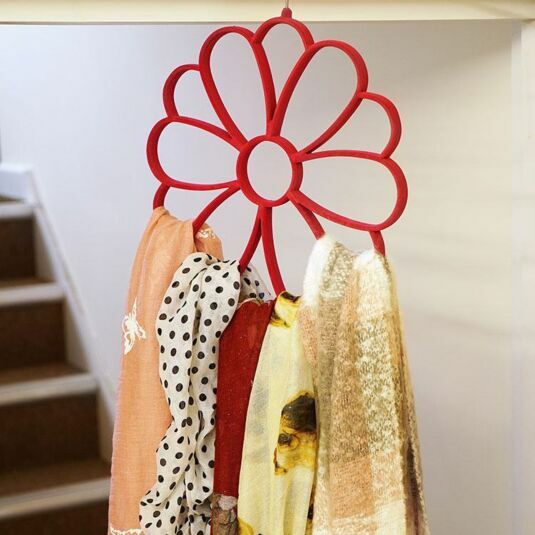 Using the metal coat hanger hook at the top of holder you can your new scarf holder inside your wardrobe or out on display as the pretty pink colour and the fun flower pattern also make it a statement piece for your room. This hanger would also be perfect for belts or ties! A great gift for anyone who likes to enhance their outfit with a tasteful scarf, especially mothers and grandmothers.